Newbie looking for an overview or list of reputable manufacturers of high performance motors for vehicles. Preferably hub motors. Hi Arlberg, I wasn't going to post because your question is much broader than you may realize. Since nobody else has posted, I'll try to help some. When you say "high performance", do you want to go 30 MPH? or do you have more of a need for hill-climbing torque? Will you want a hub-motor for the front wheel, or the back (or is either one OK)? There are other suppliers besides Crystalyte (such as Golden-Motor), but they are the most common standard by which others are often judged by comparison. The C-Lyte 5-series is the hot-rod motor. It is larger, heavier, and more expensive. It will have shorter range as it drains amps from the battery faster than a smaller motor. A motor that provides 20 MPH at 36 volts, will provide about 25 MPH at 48 volts. There are also internally geared motors that allow the motor to spin about 5 times for every time the wheel turns (Puma, Bafang, BMC, etc) this will provide better starting and hill-climbing torque at the price of hearing a slight gear whine. They are good guys and honest. They stand by their products and don't lie about how a kit or battery will perform. Read everything on their site, there is a lot of good information there. They want to inform customers, so that you will understand better, and then end up with an E-bike system that you are actually happy with on the first try. Seems my question is a bit misleading. Im looking into something mor like a motorbike than like a bicycle. In an ideal world both with torque being first in priorities. More for acceleration than hill climbing though. Then again I need 45mph on evel ground. Again, a strong 10KW+ hub motor would be perfect. Would use them on rear. Maybe on both wheels. Does not ned to be a hub or whell motor though. For a motorbike / motor scooter that can do 45mph on level ground and has good acceleration then check out the Kelly 4.5kW rear hub motor and the Kelly 300A controller. Pair this with a set of 20 cells of 40Ah LiFePO4's and you'll have a top speed of around 50mph and acceleration on a par with an XM-3500 (but better top speed). You might be able to get a controller with a lower Amp rating than the one I link to above. Conversely, if you get the 60Ah batteries rather than the 40Ah batteries you might be able to get more power out of the setup with the bigger controller. As the saying goes "your mileage my vary"! More cells will give more voltage and should give a higher top speed. I don't know of 10kW+ hub motor that's available and suitable for a m/c - Kelly have a 6kW motor but it's only available in a 10 inch rim (the motor I link above is in a 13 inch rim). Let us know how your project works out for you! Its a light motorcycle converted to electric, the odd part is it uses a hub-motor (one thats normally considered too light for this application, also cheaper) and also a separate chain-driven cylindrical motor. The benefit is that you can use both motors for adequate acceleration, and then use only the most efficient motor alone for cruise power. For maximum range, find a combination that "just barely" attains your performance goals, whether its a single hub-motor or a twin motor such as the above. 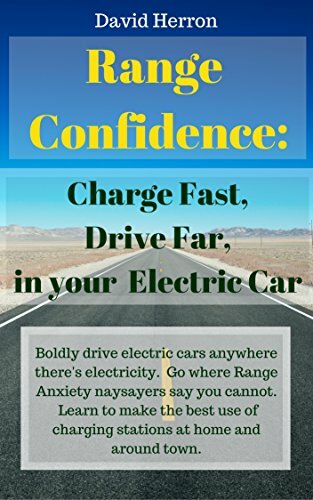 You should be able to accomplish 45 MPH with 72-Volts, controllers for a higher voltage than this are noticeably more expensive, and a higher voltage battery pack can be unweildy to package. Read the motorcycle specific sections of VisforVoltage and also Endless-Sphere, and I'd also scan "EValbum" for combinations where an owner provides a positive feedback. Have to take a closer look on this dual motor setup. Apart from that it seems that either Perm or LMC offer the best motors for this purpose currently. I wonder wether the HipaDrive will become available in a version suitable for 2wheeled applications as well. Thanks again for the input. I will post my project in progress soon and hope to receive news regarding better motors in case they become available. Hi Arlberg, I'm Cherry from Taizhou Quanshun Motor in China. We are specialized in e-scooter motor(1000W-8000W), e-bicycle motor(250W-1000W),e-car motor(2500W-8000W), bike wheel and scooter wheel for more than 13years. Now, let me introduce e-scooter motor briefly. 8.Could be designed by your requirements. And for electric motor, the wattage is not the only index, the efficiency is also very important. For example, one of our American customer bought a 10kW from another Chinese supplier, and he found our 8kW motor works better than the 10kW. Motor and the matching Kelly Controller could be send to your test. If your insterested,our test report can be send for your reference. If used our two 8kw motor on the rear wheel, it could be reached the max speed 110-120km/h, good performance on climbing.